"Do you prefer the build or the ride?" It was a question for Brandon that I had assumed might come with a shaky answer. Motorcycles have, in many ways, defined themselves as a quintessential part of the American Dream, along side classic pickup trucks, Coca-Cola, and denim jeans. Surrounding the ethos of riding a motorcycle are the ideas of freedom, masculinity, and the nomadic spirit, and to suggest that building a bike isn't merely a means to an end would, for some, seem sacrilegious; however, that wasn't the case for him. Brandon Mungai began restoring BMW motorcycles some years ago - and despite his love for the ride - it's the build that has earned his devotion. 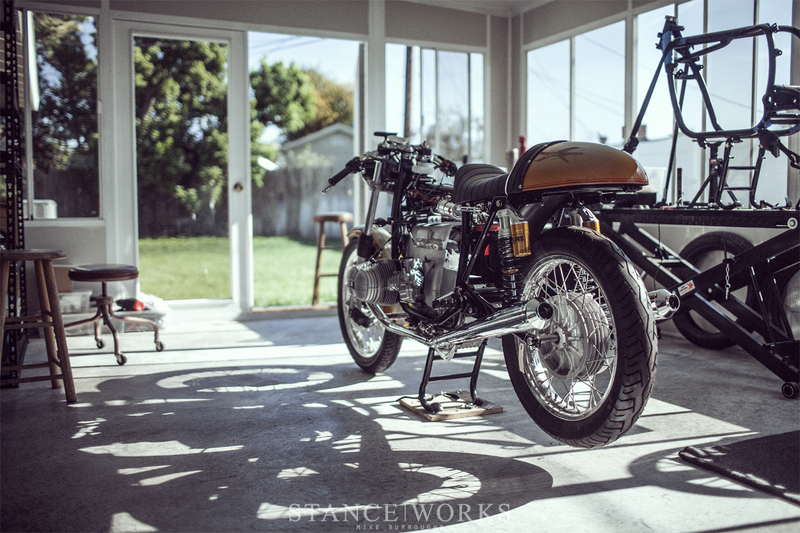 Within the glass walls of his sunroom, Brandon builds BMW Cafe-inspired motorcycles. Just a few feet from the kitchen, his latest project, an R90S resto-mod, sits in partial completion, visible from the dining room table. Having began the project in 2013, it's his longest undertaking to date, but with each of his bikes comes a new standard, pushing each previous build into subservience. 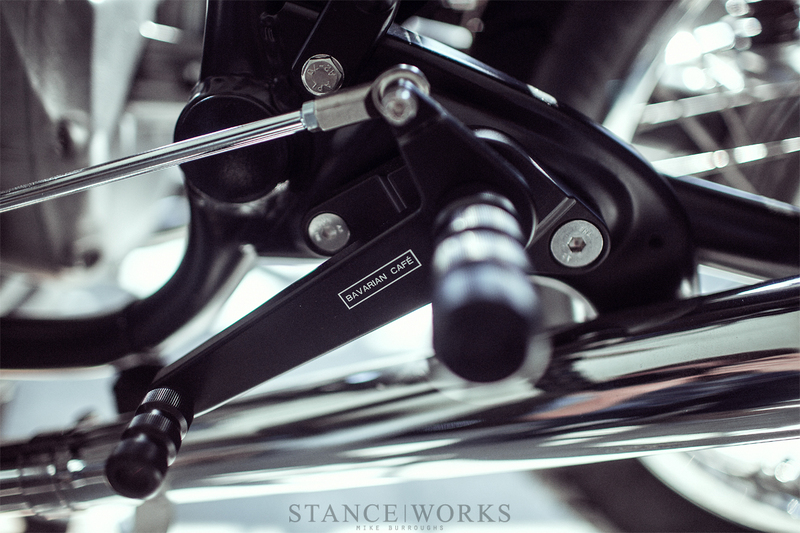 Each bike stands to improve the next, and Brandon strives to improve his craft. But if not for the ride, then to what end? That is, perhaps, an even tougher question to answer. After hours of conversation, it's clear that Brandon builds bikes for one reason. 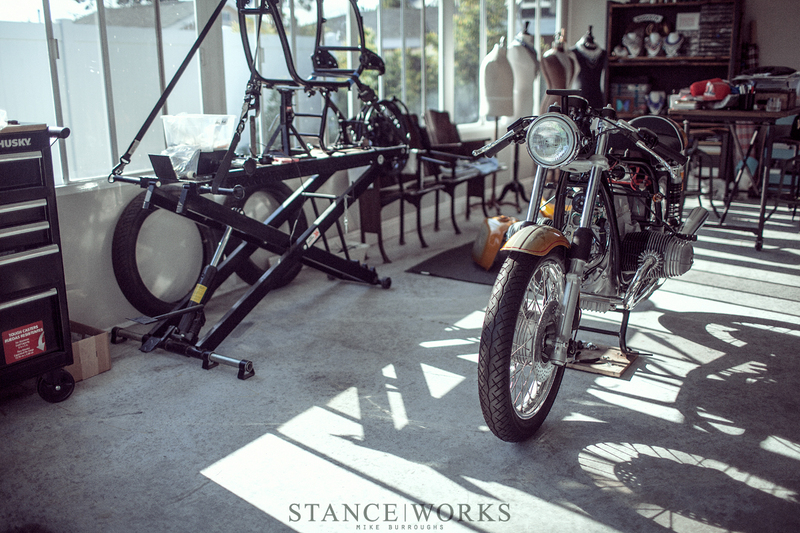 Whether it's defined as an expression of thought, a demonstration of artistic language, or simply the methodic process of restoration and reconstruction, Brandon builds bikes for himself. The R90S marks Brandon's fourth major restoration. His journey began with a 1973 R75/5 in 2011 after bad luck with other mechanics. With the mindset of "if someone else can do it, I can too," Brandon undertook the restoration himself, yielding a bike worthy of pride. Unfortunately, however, Brandon met the greatest feat of any rider: a crash. Brandon survived, but his R75 was torn and mangled. The decision to leave two wheels behind in favor of four crossed his mind, but only briefly, knowing full well that returning to the craft was paramount. After the mend, Brandon completed his second build - an '83 R100 "LSB," glossed in Laguna Seca Blue and finished with his own signature touches. Brandon finished up his third restoration, a '72 R75/5 Short Wheelbase, aptly named "Frein," (Free Lady in German, a title of nobility) clad in red and polished brightwork, just shy of one year ago. 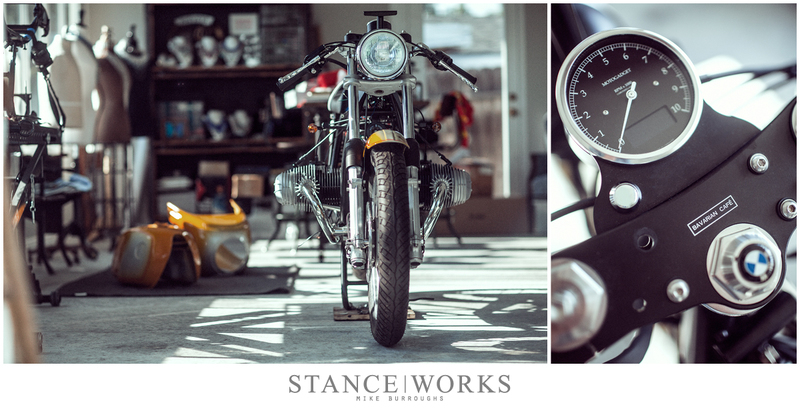 Both bikes have since gone on to new owners, fetching top-tier price tags for Brandon's work. 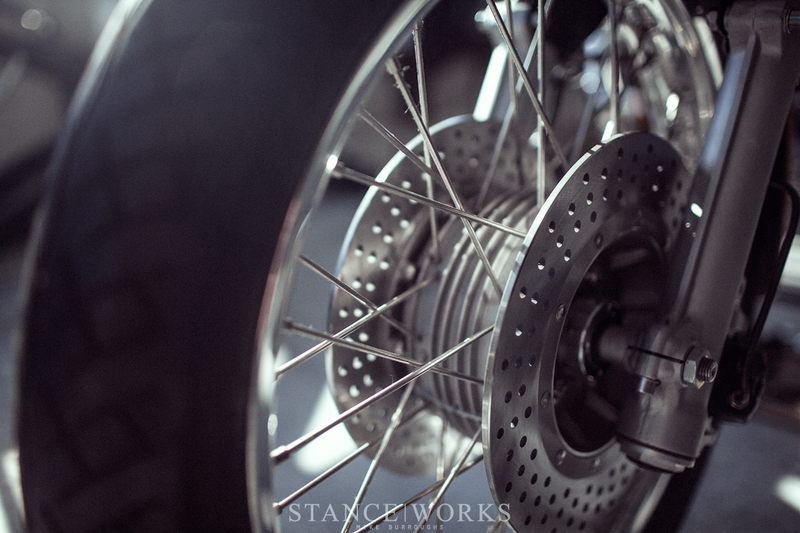 In all, it's much of what separates Brandon's bikes from any others. 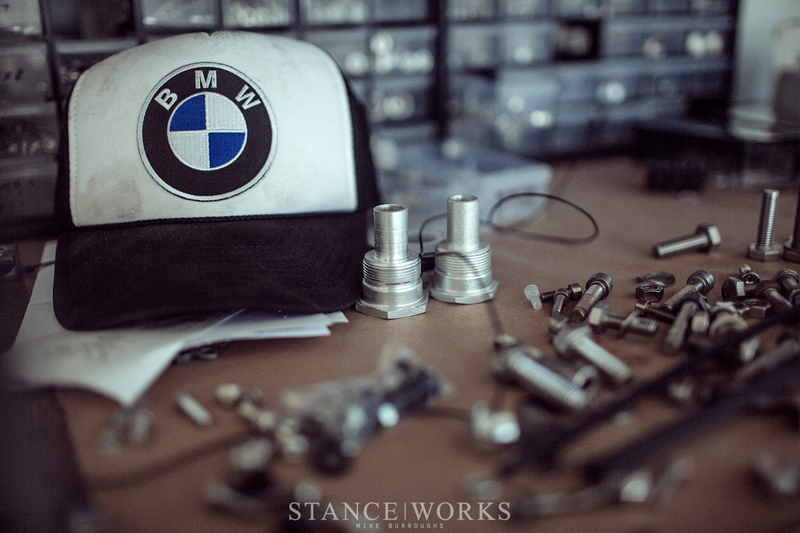 His meticulous care for the finish, fit, and final product of his work results in bikes that are above and beyond the quality of even BMW themselves. While Brandon may exude too much humility to make such a claim, I've yet to meet others that aren't willing to propose that Brandon's work is indeed "better than new." With that, Brandon remains unsure of what is to come of the R90S that is nearing completion. With the amount invested into ensuring accuracy, matching numbers, and the fit & finish he's established as a staple of his artistry, as well as the design work, custom parts, and personal touches, Brandon knows he won't be letting go of the bike for cheap. But refreshingly, he's not concerned. Brandon has made it clear that first and foremost, the bike is built for himself. "Honestly, I hate being a mechanic," he tells me, before relenting that perhaps "hate" is too strong a word. 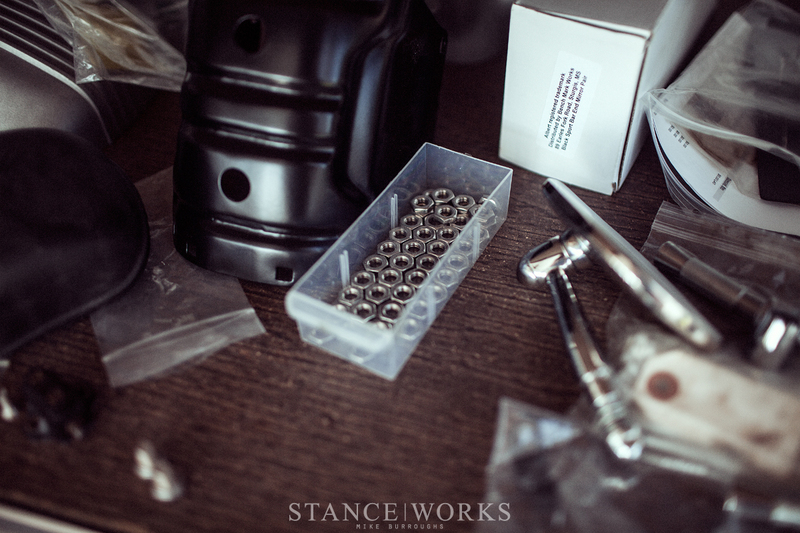 Expressing all but refusal to build bikes to others' tastes, Brandon is left to build the creations in his own mind. Perhaps others see his vision, or perhaps they don't - in either case, it seems an afterthought - a concern left for when the bike itself is complete. Of course, Brandon is aiming to run a business - Bavarian Cafe - and it's foolish to assume that a business can succeed without catering to customer desires. However, perhaps that's part of the magic: Brandon's flagrant disregard for a proper business model, instead, operating on the faith that his creations will see success on their own merits. Much of the challenge lies in his established niche. 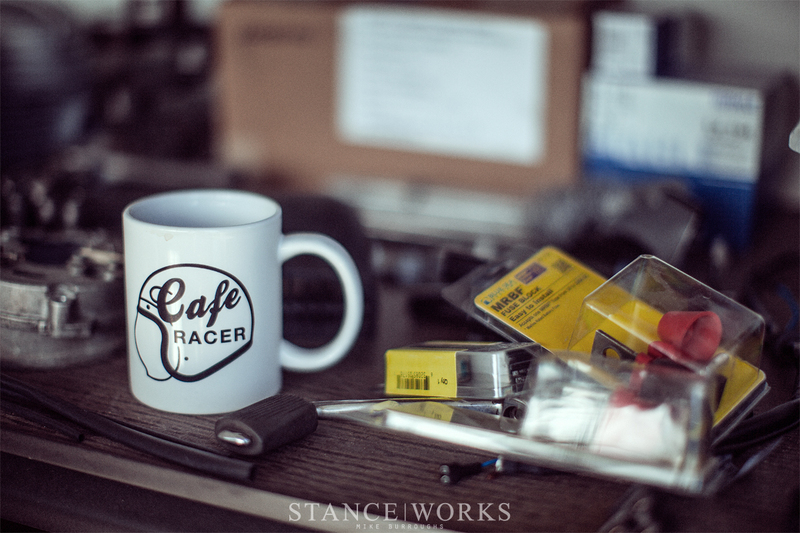 While the Cafe Racing aesthetic and style have risen tremendously in popularity over the past few years, BMW's market share is slim in comparison to Japanese counterparts. Nevertheless, Brandon's love for the marque and the brand's style, engineering, and simplicity keep him building for himself. 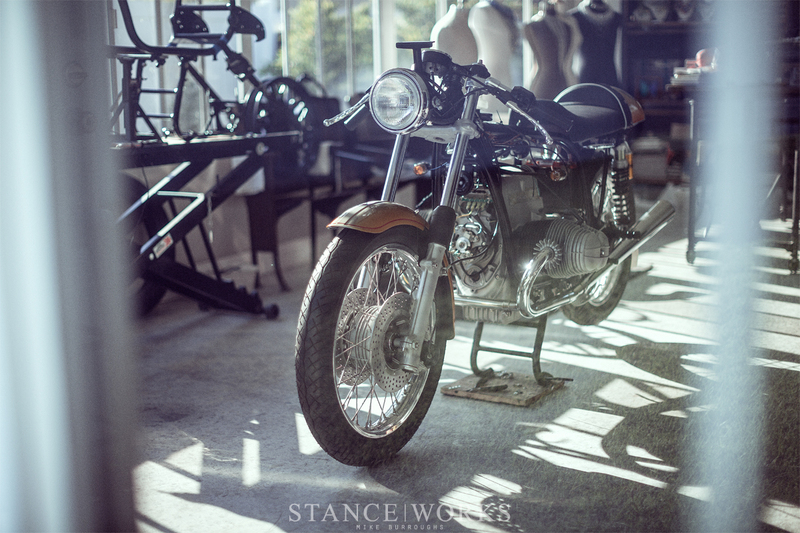 Brandon's R90S restoration is coming to a close, with street duty just over the horizon. 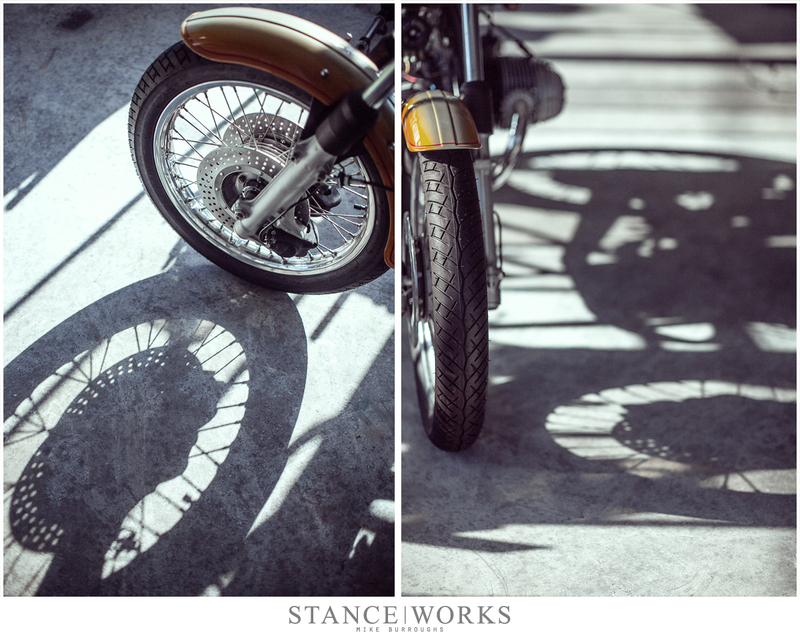 Next on his plate is an R100S, and from there, several more. His garage is overrun with airhead parts, chassis, and bodywork, each with its sister components, waiting for its turn at Brandon's hands. "I'm done buying bikes," he says, "I have enough to last me." With the progress each build has made, there's no doubt that each bike from here on out will continue to surpass expectations. The hardest part will be the prolonged and anxious months and years as we wait to see what Brandon Mungai builds next. 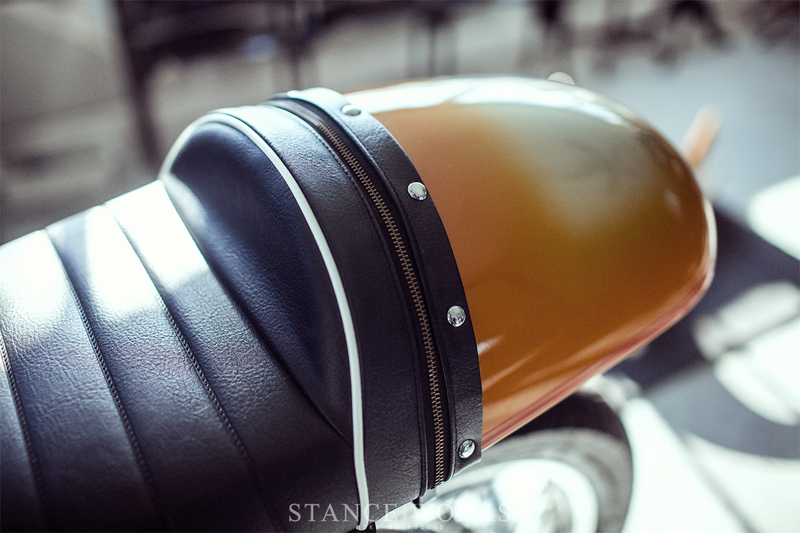 The bikes are great and the attention to detail is commendable but the work space made me weep. I work in a machine shop where one of the owners thought painting the windows black would keep us focused. I dont mind the hours, i dont mind the pay, but a little natural light would really be nice. omg!…. im not a huge motorcycle fan and i don’t think ill ever own one…. 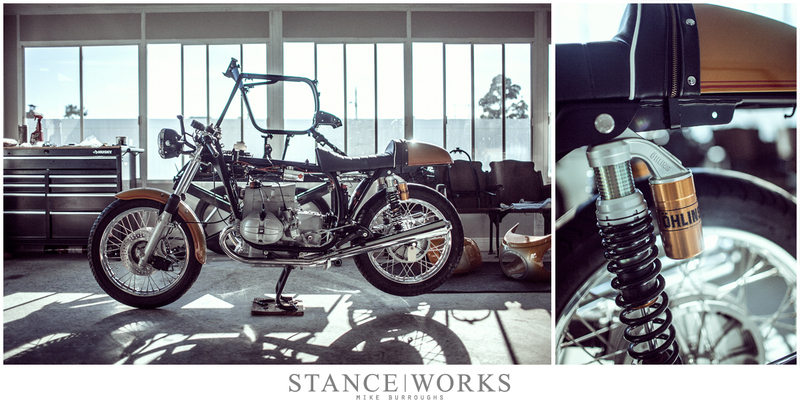 but seeing old bikes like this and the craftsmanship that goes into them, really makes me want one! isn’t merely a means to an end would, for some, seem sacrilegious. However, that wasn’t the case for Brandon.